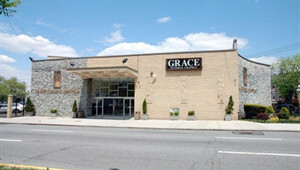 Grace Funeral Chapels was founded in 1991, and is one of the largest and most elegant funeral homes in Brooklyn and Queens, offering large chapels and parking for over 100 cars. We are conveniently located minutes from JFK and LaGuardia Airports. Our directors and staff combine many years of experience as they continue the great tradition of outstanding service for which Grace Funeral Chapels has been known. In 2004, we expanded and opened a location in South Florida at.5980 West Oakland Park Blvd Lauderhill, Florida 33313. Ansa Larkin graduated Nassau Community College School of Mortuary Science in 2005 and completed her residency with us at Grace in 2009. Ansa's unique skill sets propelled her to an appointment as Managing Director in January 2015. Ansa has the ability to focus on every detail with care and concern for our families. She is indeed a valuable asset to Grace Funeral Chapels and our community. Ileana Dubinson graduated from Lynn University Boca Raton, Florida in 2003 from Funeral Services and also Business Administration in 2004. Ileana is a very calm, spirited, caring and highly skilled individual with a heart of gold. She is always willing to go the extra mile for families in their time of need. Her bilingual skill (Spanish) is most helpful to our diverse population. Grace Funeral Chapels is fortunate to have Ileana as a member of its professional staff. Rachel Doris our newest Funeral Director graduated December, 2012 from The American Academy McAllister Institute of Funeral Service and licensed in New York State October, 2014. 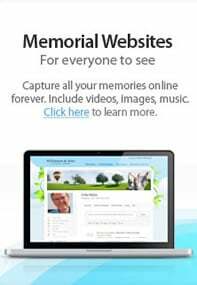 Rachel's vibrant, outgoing and caring personality goes a long way in assisting bereaved families in celebrating life memories created and shared with their deceased loved ones. We are happy to have Rachel join us at Grace Funeral Chapels. Ashley Massillon our newest Funeral Director is a graduate of SUNY Canton and fulfilled her residency requirements at Grace. Ashley's very pleasant and professional demeanor put our families at ease during a stressful time. Her bilingual skill (Creole) serves our diverse community well. We are proud to have her on staff.